VIPKID officially confirmed the news of Zhou YANG (周洋), well known Big data and algorithm expert, joining the Chinese online education unicorn. On April 15, 2019, according to Techweb, VIPKID officially confirmed the news of Zhou YANG (周洋), well known Big data and algorithm expert, joining the Chinese online education unicorn. Zhou YANG (周洋) at VIPKID will be responsible for the construction of Big data system for the online education platform. With the experience and expertise Zhou will help promote the construction of underlying data system, explore more business scenarios, transform data into productivity, explore intelligence of online education data, and make maximum use of the data. Zhou YANG (周洋) is a well-known data expert in silicon valley. He was head of linkedIn’s growth and international business data science. While working at LinkedIn Zhou created and led the growth data team and helped the company achieve rapid user growth in the emerging markets, increasing the number of users from 200 million to 650 million. He made data-driven decision-making centered on the user value. VIPKID is one of the largest online English tutoring companies in China, which has a valuation of around USD 1.5 billion. It matches over 70,000 teachers in North America and Canada with over 600,000 Chinese students of ages 4 to 12. The student retention rate is 95%, and its revenues for 2018 were USD 760 million, up from USD 300 million in 2017. VIPKID was ranked 29nth on the 2018 World’s Most Innovative Companies list and 2nd among Chinese companies. The company was founded in 2013 and officially launched in 2014. It attracted investment from huge names such as Tencent, Sequoia Capital, Sinovation Ventures, Yunfeng Capital, Matrix Partners, Learn Capital, Northern Light VC, etc. “VIPKID can capture user’s physical and emotional data (such as the eyes and change of expressions) through face recognition, emotion recognition, and other technologies. Analyzing both, the teacher and the student, calculating the user’s attention, and understanding the effectiveness of long distance online learning process. This leads to the formation of user focus and the key factors of knowledge acquisition, which in turn allows students to be more focused and efficient.” Said Cindy MI at a recent interview. The English education market is not the only goal of Cindy MI. She believes with the same technology, Chinese teachers can provide Chinese language teaching services to overseas markets. The well-known recruitment website Flexjobs rated VIPKID as “the best company for a home office in the United States” and surpassed the old giants such as Amazon and Dell. By recruiting Big data expert, Zhou YANG (周洋), VIPKID has taken a further step to increase the number of users of the company. Zhou has completed his Ph.D. in computer science from Michigan State University. Since then he has worked for Yahoo, Microsoft and other well-known companies. With the rapid development of online education and technology, VIPKID has become an attractive company for big data and algorithm experts. 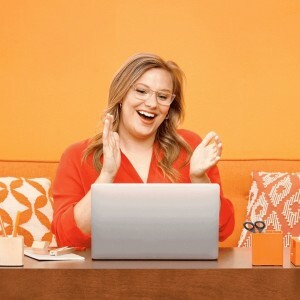 VIPKID is currently the world’s largest one-on-one online education platform with more than 180,000 daily courses and a total of 4.5 million minutes of teaching per day. VIPKID has also established an online education research and development institute in North America, together with well-known North American academics, to improve the learning level and efficiency of children around the world through cutting-edge technology.